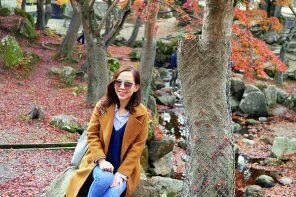 If you are looking for a food place in Seoul that is overflowing with cheap eats, head over to Gwangjang Market. 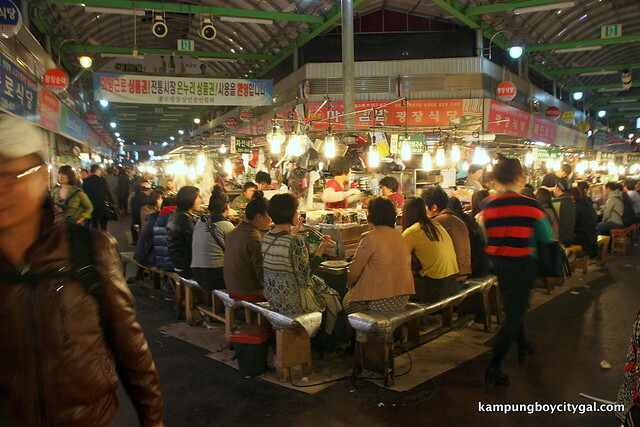 For us, Gwangjang Market to Seoul is just like Imbi Market to Kuala Lumpur. 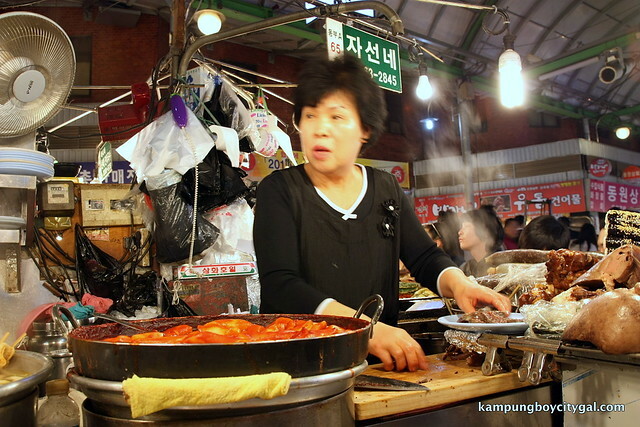 Gwangjang Market is one of Korea’s oldest traditional markets with over 100 years of history. 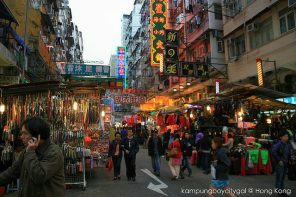 Locals come here for quality silk goods, bedding, fabric, hanbok and clothing shopping. From 6pm onwards, the shops close but the food market starts to become lively. 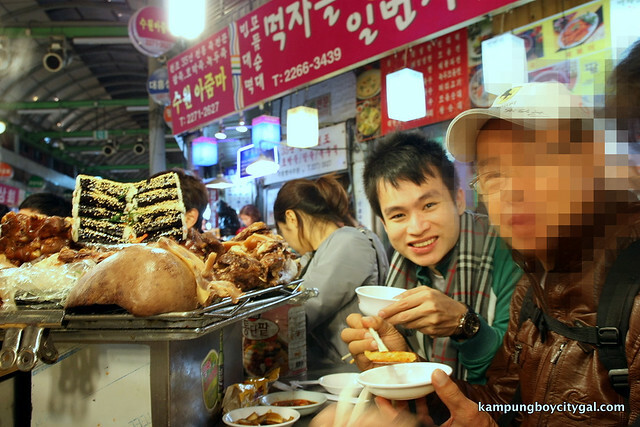 In Gwangjang Market, we got to experience the Korean drinking culture. It is a culture for Korean working men to drink after work hours, on the weekends and in designated drinking areas. Drinking is a good way to release stress, make friendships or even close business deals for them. We saw catered plenty of white–collar workers sitting by the bench looking for a release from fatigue after a long day. They often hold bottles of hite (Korean beer), soju and makgeolli (Korwan rice wine) with them. 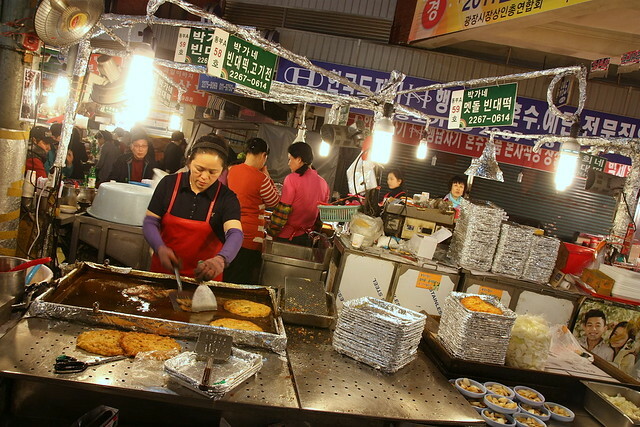 The most famous street food in Gwangjang Market is bindaetteok, a pancake made from ground mung beans with various meats and vegetables. Cooked to order, these pancakes are crispy, hot, and affordably priced. 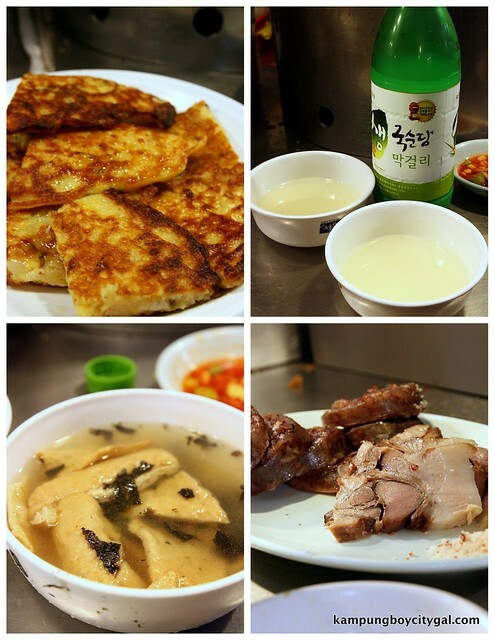 They’re also great paired with makgeolli (traditional Korean rice wine).It costs about 4000-5,000 won per pancake. 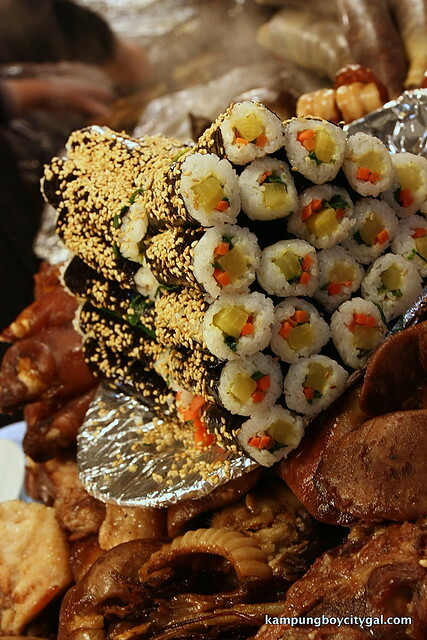 Another representative food item of Gwangjang Market is mayak gimbap, literally “drug gimbap,” because these bite-sized rice and dried seaweed rolls are addictive! The rice is rolled with pickled radish and carrot, and comes with a dipping sauce made from mustard and soy sauce. These small, convenient snacks are very affordable. It costs about 2500 won per serving. 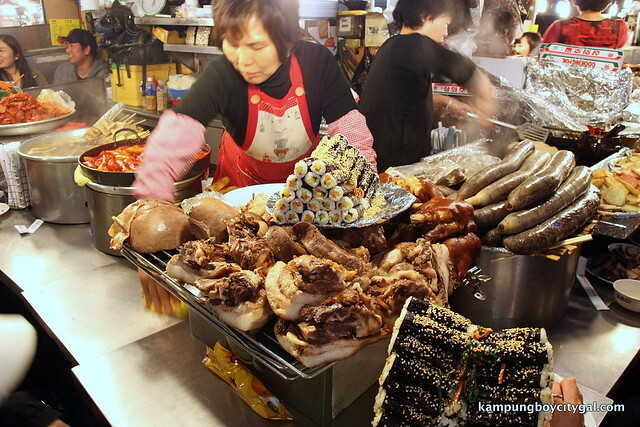 This ugly looking sausage lookalike object is called Sundae, or Korean-style black pudding. 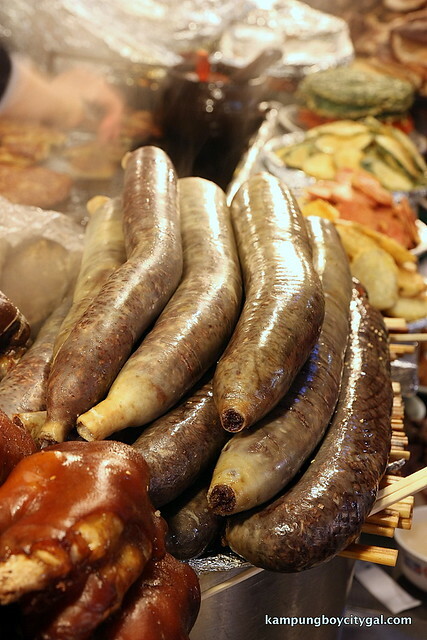 It is made of pig’s intestines stuffed with cellophane noodles, barley and pork blood. 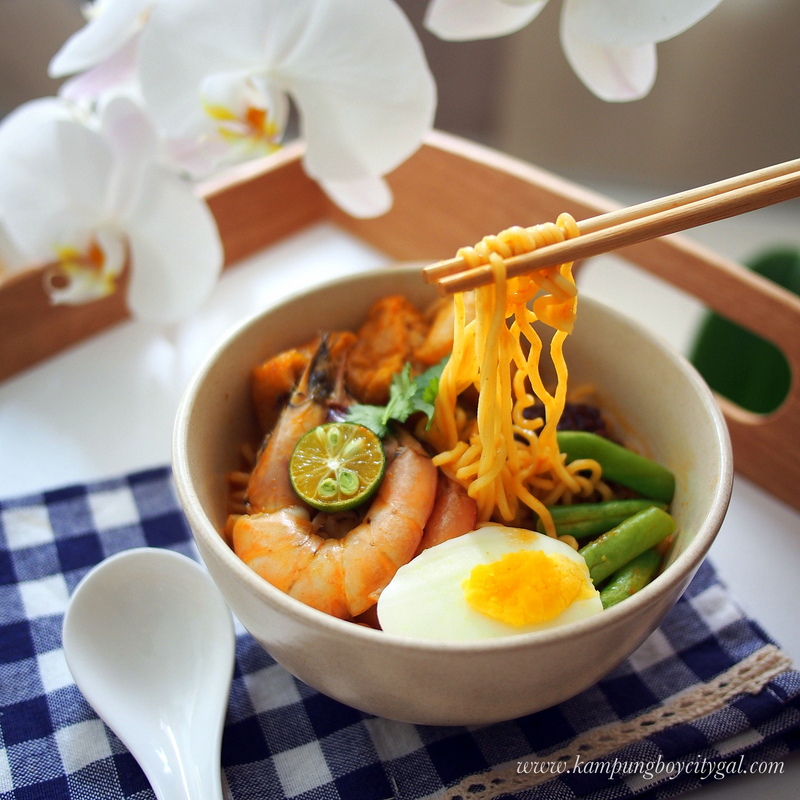 It typically costs around 5,000-6,000 won per serving. 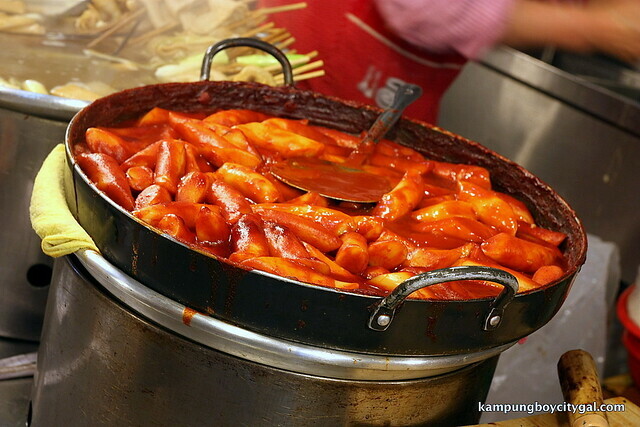 Tteokboki is of abundance at Gwangjang Market too. These chewy rice cake in sweet and spicy sauce makes good beer food. We had the bindaettok and it was really crunchy and packed a bunch with Korean flavours. The tteokboki and fish paste in seaweed soup was really delicious too! The ugly looking sundae was surprisingly good, sans the bloody smell. We tried the pig’s tongue and it was so good that we asked for a second serving! It was a really satisfying dinner and the meal costs less than 30,000 won for the 4 of us. It was very difficult for us to take pictures while eating as we sat crammed shoulder-to-shoulder with strangers. Everyone looked really happy munching away at bindaettok and gulping down bowls full of makgeolli. 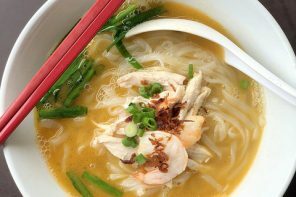 It is an unique eating experience which we will remember forever.